The Every Child Ready to Read@ your library program provides youth librarians, early childhood specialists, preschool teachers, childcare providers, and most especially, caregivers, the research-based practices that can help young children (ages zero - five years old) develop the skills they need to be successful when learning to read. Now in its 2nd edition, this program integrates the six pre-literacy skills from the 1st edition (Print Awareness, Print Motivation, Letter Knowledge, Vocabulary, Narrative Skills, and Phonological Awareness) with the five behaviors (Singing, Talking, Reading, Writing, and Playing) and emphasizes them as activities in which children should engage every day. As our communities become more diverse, we are pleased that ECRR2 is now offered in Spanish, with other languages being added soon. We will also talk about presenting this program to our Spanish-speaking customers. Our goal is to do all of this while making it fun for everyone involved!!! Come share your successes and disasters in implementing the new Information Literacy Framework with others in a round table discussion. In the second half of the pre-conference, we’ll hear about where we are a year later in implementing the Framework nationally. What’s worked, what hasn’t worked, and where do we go from here? During the second half of the workshop, we’ll hear from Kelly and Kenya about their experiences in implementing the Framework at UT Knoxville and where they visualize it will evolve in the future. Kelly Tilton has an MFA and an MS in information sciences from the University of Tennessee, where she now works as an information literacy instruction librarian. She works alongside a team of other general education librarians, and focuses specifically on information literacy in English composition courses. After working two years with an assessment librarian, she became interested in assessment in addition to user instruction, which led to her close study of the ACRL Framework for Literacy in Higher Education, and she continues to integrate the framework into her teaching and assessment practices. Kenya Flash is one of two Diversity Resident librarians at University of Tennessee. She has a long-standing focus on instruction, which has been facilitated by a rotation in that department and through previous experience as an adjunct librarian at Wilkes University. Kenya holds a bachelor's degree in government and law from Lafayette College, a master's in political science from East Stroudsburg University, and a master's in library and information sciences from Drexel University. In November 2015, she was appointed the subject librarian for Sociology and Political Science. The framework presents very interesting possibilities for her in both roles at UT, as she will have the ability to utilize it with throughout various parts of the curriculum. Explore the current and future opportunities and ideas for leadership development available through TLA. Have you ever wanted to give a great presentation? Are you a seasoned presenter wanting to try something new? The Virginia Library Association’s Presentation Academy will take you through how to come up with and save ideas, find the right idea for the right conference, and how to write a great conference proposal. Mix and mingle with other new members all while enjoying appetizers courtesy of NMRT. Did you know that your patrons can access some of the most important records held at the Tennessee State Library and Archives--for free--via a partnership with Ancestry.com? In this session, TSLA's senior reference librarian will provide a detailed explanation of these records and how to easily navigate them. Do you wonder how easy or difficult it is for patrons to use your library website? One university library's web team sought to find out about their website's effectiveness with users. Learn about launching and managing a website usability study including testing software, study development, and IRB considerations. Help shape the future of NMRT. Those interested in filling leadership positions in the coming year are especially encourage to attend. The Scholarship Committee has something for you! Check out the themed basket silent auction and "Book Sale on the Side" in the exhibit area. When the exhibits are open for busness, we are there waiting for you to come by and make a bid or buy a book. Bring your used books to the conference. All books are welcome. A collection box will be available at registration. All proceeds benefit next year's Gleaves Scholarship and Conference Intern Program. Stop by and say hello, greet old friends, and pick up a grab and go refreshment. This year’s CYA luncheon (Thursday, April 7) speaker will be MexicanAmerican author, poet, and advocate for the Hispanic community, Pat Mora. Many of her books are bilingual, presenting topics affecting Mexican-American families and culture. Pat is a literacy advocate excited about sharing what she calls “bookjoy.” Pat founded El día de los niños/El día de los libros (Children’s Day/Book Day) also known as Día, which promotes creatively linking all children and families to books and establishing the annual April Children’s Day/Book Day celebrations across the country. April 2016 will be Día’s 20th Anniversary. How to keep story times fun and interesting both for the kids and for yourself even after 20 years of (not) doing the same thing. Where to find new ideas, how to challenge yourself, how to make it fresh and entertaining without investing a lot of time and or money. Simple ideas that have worked (to our surprise) at our library and may work for you also. While I plan to share some nuggets of what I've learned after 20 years, I also very much want those attending to share their success stories (or frustrations) as we learn best from each other. I would love for lots of people to share a really great story time experience that worked out great, and was fun for everyone. For those who don't work in special libraries, they can be a bit of a mystery. This panel discussion will bring together librarians from a variety of special libraries to provide their unique perspectives. Learn how the panelists came to work in special libraries, what an average day is like, and the variety of work involved in special libraries. Bring your questions! Imaginative ways to raise money for those special programs that are fun and easy! A kitchen table discussion on the ways and benefits one can become involved in professional service within the library profession and associations. Suitable for all. To Purchase or Not to Purchase? ILLiad Saves the Day! This presentation will showcase our new method for receiving purchase requests from faculty, staff, and students. ILLiad software is typically used for Interlibrary Loan activities only, but a special addon [produced by the IDS Project at SUNY] can be added and used for acquisitions and collection development activities. The presentation will include the process and results of this new service. Find a Subject-Matter Expert and Use Them! Librarians come in contact with a plethora of individuals, resources, and facilities of specialized scholarship and should never pass up the opportunities of the teaching library. So as a subject expert, I find people and let them use my expertise. As the Medical Librarian at the VA Medical Center San Diego, I implemented the Medical Library Lunch & Learn Lecture series for hospital staff to learn about the high-impact, patient-centered, and evidence-based research in areas of medicine and medical sub-specialties performed by VA clinicians with faculty appointments at the University of California, San Diego. As the Electronic Resources Librarian at the United States Air Force Academy, I collaborated with history, political science, law and behavioral science faculty; the local Colorado Springs Diversity Forum; Pikes Peak Library and Colorado Springs Pioneers Museum to create exhibits that extended the dialogue outside of the classroom and into the library. Reports the results and implications of a study conducted to collect undergraduate student impressions of the language and concepts of the ACRL frames both prior to and after a semester-long research methods class. Familiar with TEL but need a Refresher? Are you new to the field and want to learn more? Over the past year, TEL databases have seen major updates to interfaces and improved functionality. This session will highlight all of those changes and give you a preview of what's coming. Get helpful tips for linking TEL and learn about options for TEL vendor training, support, and promotional materials. The Tennessee Electronic Library (TEL) provides free access to electronic resources ranging from genealogy, health, homework help, and language learning to career guidance, academic skill-building, and standardized test preparation. Tennessee Disability Pathfinder, a program of Vanderbilt Kennedy Center, serves as a statewide clearinghouse of disability-related resources and phone helpline for all languages. It includes several components of its program to assist individuals in finding available services. This session will educate participants about Pathfinder's phone helpline, online database, community calendar, resources library, and multicultural program, as well as, encourage collaboration to meet the needs of individuals with disabilities. We will discuss some of our new items that we have available at our respective libraries for checkout. Some of these items include: hot spots, kindles, chrome books, ipads, Osmo, and playaway views and lauchpads. We will talk about which of these items are available for office site use, which are for in-house use, and the policies in place regarding these devices. I have been the library director at the White House Public Library since August of 2012. As director, I have completed a new library building project, successfully implement a comic-con style Summer Reading kickoff event, and add unique item collections for circulation. Dare to imagine: Civil Rights as shown through the lens of Children’s Literature. For the past 15 years, the University of Tennessee at Martin has held a Civil Rights Conference. This past year, the opportunity presented itself for the library, as an academic institution, to give a presentation at the conference. Our topic was 50 years of Juvenile Literature with an emphasis on African American civil rights and we prepared for the presentation by creating a bibliography of works we felt best exemplified our topic. We will share with you our process in selecting materials for inclusion in the presentation. Additionally, we will review the unique collection development strategies we implemented to evaluate and expand an important part of our collection. We will present some recent projects involving community partners and how we picture an increasing role for libraries in the building of social capital through such endeavors. Projects we would highlight are: Partnering with the region’s largest employer (Mountain States Health Alliance) to host a job fair called “Project: Employment Hope” specifically for disadvantaged persons; Partnering with East Tennessee State University’s Department of Social Work to have a graduate student social worker intern at libraries in the region; Working with ETSU and city planners to create a Pollinator Pathway;and increasing green spaces in downtown Johnson City and creating more ecologically-friendly landscaping on the library’s grounds We also plan to include the evolution of Johnson City Public Library’s work with community agencies, and allow time for attendees to brainstorm ideas for new community partners in their own areas. Want your Library to be part of the Little Free Library movement but not sure how to get started? This presentation will show you how a mid-sized public library placed twelve Little Free Libraries in its service area and helped start a community-wide literacy movement. Rural librarians recently graduated from the IMLS-funded Information Technology Rural Librarian Master’s Scholarship Program (Part I and Part II) in the School of Information Sciences at the University of Tennessee will discuss the challenges, opportunities, outcomes, and impact they are making in their Appalachian workplace and rural communities. In February of this 2015, the Digital Library of Tennessee (DLTN) was accepted to be the Digital Public Library of America (DPLA) Service Hub for the state of Tennessee. Guided by a committee put together by Tenn-Share and with technical support from the University of Tennessee Knoxville, the DLTN works to get Tennessee content into the DPLA, thus increasing the visibility of the institutions and local collections from our state. This presentation will introduce you to the DPLA, the DLTN, and the work currently underway with the Phase 1 ingest project, involving eight institutions and about 150,000 digital items from across the state. The presenters will also explain the DLTN organizational and technical infrastructures as well as highlight challenges (and solutions) for getting this project off the ground. Come mix and mingle with your fellow school librarians in TLA. Follow us on Twitter at @TNLASchoolLib to find out the latest. 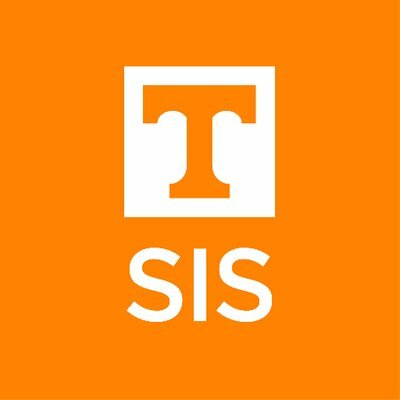 Bring a drink and join the UT SIS Alumni Society for networking and conversations with other University of Tennessee SIS graduates! Join us for the reception in the MeadowView Ballroom for some delicious treats along with a DJ playing all our favorite songs. Don’t forget about the photo booth where you can let your imaginations run wild! With the unique position of a new library director and a spotlight on Beaman Library, we seized the opportunity to engage and collaborate with faculty to enhance the library’s resources and services. We used a new citation management tool, EndNote, to open the door to actively converse with our faculty about their research needs and current library services. Regular EndNote classes for our faculty led to a broader discussion of library services for faculty and students, which culminated in the Beaman Library Faculty User Group. This group meets 1-2 times a month to discuss library needs, new resources and services, and tips on using the library. Faculty response has been overwhelmingly positive and led to the devlopment of a faculty summer course on using the library in research and teaching activities. Encouraging culturally diverse communities through programming is part of a librarian’s job in the 21st century. Celebrating our communities through culturally diverse programs provides children the opportunity to understand others and to get to know people from all over the world, regardless of their religion, skin color or language. We will feature fun, easy and inexpensive ways to celebrate DIA. Author Shindana Feagins and illustrator Syreeta Blakely will co-present introducing “We have such in common”, a multicultural picture book that focuses on our common traits instead of our differences. Join us for an entertaining presentation, full of ideas that will make your DIA program a total success! First-generation college students enter college as some of the most academically underprepared students. From academic to social hurdles, first-gen students often feel isolated from their peers. In an effort to provide inspiration to these students, the library at Nashville State Community College created a digital storytelling project, NSCC Voices (http://nscc.libguides.com/voices). In this session, we'll discuss how other libraries can start their own digital storytelling projects for a variety of purposes. Topics covered will include: inspiration for the project, hurdles we’ve faced, as well as a quick overview of how to create a podcast. Leadership does not have a one-size fits all definition. It is instead demonstrated by actions and is present in all facets of an organization’s life, regardless of a librarian’s position title or location on an organizational chart. The goal of this session is to strengthen leadership awareness and skills. A diverse panel of peers will share in leadership experiences and learnings, good and bad. Mary Ellen Sloane is the Science Librarian and an Associate Professor at Middle Tennessee State University. Her research interests include scholarly communication, information literacy, library technology, and user experience. A panel highlighting the vital role of Technical Services in 21st century libraries with discussion of new cataloging methods for digital materials, as well as traditional print materials. We’ll also decipher some of the acronyms that make up the TechSpeak of Technical Services: BIBFRAME, RIMMF, RDA and more. Join us to learn how decisions made by Tech Services workers will continue to affect accessibility of library materials. Students complain about taking library tours. Librarians complain about giving library tours. Librarians at MTSU’s Walker Library dared to dream of an alternative to the standard library tour. This session will describe the Library’s project to create a self-guided, QR-code and video-based walking tour of the library from concept to implementation. The re-imagined tour has an accompanying worksheet that can be used as an in-class exercise, a graded homework assignment, or as an optional extra credit activity. This presentation forces on the teaching and gathering of resources to create programs and lessons with graphic novels. This program is interactive and allows participants to discuss their ideas with other conference participants. Mentoring advice from Dr. Edward A. Scott, Director of the McDermott Library, United States Air Force Academy as told by his mentee. Words of wisdom, satirical insights and jovial sarcasm from a seasoned professional with over forty-nine years of librarianship experience, who transformed a new librarian’s career from ordinary into extraordinary. Students have difficulty navigating the physical and online library. At PSCC, a group of librarians, students, and faculty teamed up to design icons for the major Library of Congress subject headings to provide a visual context for the difficult-to-use classification system. The icons are placed on signage in the physical library and online to help guide students to specific subject areas and create specific continuity opportunities between the physical and virtual library spaces. PSCC librarians will discuss the project, including research for planning the project, student involvement, the design of new stack signs, using the Library of Congress icons online, and the ongoing research on the effectiveness of the new shelving signs with wayfinding and browsing. Hear a panel of experienced library personnel from across the state present daring new practices implemented in order to provide reference and information to their users. Glean from their experience for your own library. What has worked? What has not? Just imagine! At the Chattanooga Public Library, we have embarked upon patron driven collection development. Through the use of our Patron Request form, we invite our patrons to help build their public library collection. Since the program's inception, we have received more than 11,000 requests to date. Who makes these requests, what types of materials are being requested, do these items circulate and what do patron requests tell us about our customers? Learn about the triumphs and challenges of patron requests and how they help us be a more responsive library to our patrons. Learn to write a great library resume/CV like what to include, what to delete, common mistakes, proper language, and how employers interpret resumes. This session will be half presentation, half panel, and will help improve your resume for your next job search and your LinkedIn profile! Take a break from educating yourself and participate in a dialog with the Coordinator of Youth Services at the School of Information Sciences, UTK. If you were designing the future children's or YA librarian or school librarian, what skills, competences, attributes would you want to see? This brainstorming session is an interactive conversation about how to educate the next generation of youth services librarians in schools and public libraries. Abstract Evidence shows that there are marked health disparities between those living in rural areas versus their urban counterparts. Not only do rural residents suffer from higher incidence of chronic illness, they also have limited access to primary care services and are more likely to be uninsured or under-insured. This session will describe hallmarks of rural America, identify other access challenges of living in rural communities, and equip participants with tools to use in service to the health information needs of those living in rural communities. Objectives Increase knowledge of the unique nature of rural communities, including their attributes and challenges Identify health information needs specific to rural communities Become familiar with resources to address health information needs of rural citizens Identify potential community partners in rural communities. Have you given up on inventory because it seems too complicated and expensive? Using materials already owned by most libraries (a laptop, Microsoft Excel software and a barcode scanner) and existing staff, we will demonstrate how simple and fast it is to inventory your collection. We will provide experience-based, practical recommendations regarding optimal times for performing inventory, how much to inventory at one time, and suggestions for inventorying in public and academic libraries. The federal government is a rich source of statistics for researchers, business people, and policy makers. Discover tips and tricks for finding free sources of statistics on topics such as education, labor, and crime. Wondering what's new in Tennessee's Public Libraries or want to know more about what's coming? Have you heard about this TV Whitespace program? Did you know that the way we collect and report data to the state may be changing in the future? Do you think you're library is too small for a makerspace? Join moderator Jillian Rael, Chair of the Public Library Section for this informative panel discussion. Topics include May Linger discussing her library's experience with the new TV Whitespace program and what it is doing for her community. Cecilie Maynor shares new information out of TSLA including outcomes-based planning and it's relationship to data collection, community needs, differentiating between outcomes and output, the TN Roadmap for libraries, and more. Becca Baker will share information on the continuing evolution of library makerspaces. This promises to be an informative session filled with idea-sharing, discussion, and conversation. Join us and bring your questions! Susan J. Schmidt, President-elect of the ALA United for Libraries (http://www.ala.org/united/) will be the Trustees/Friends luncheon (Friday, April 8) speaker and will conduct an afternoon session on fundraising and foundations. Susan is a former Friends of Libraries U.S.A. (FOLUSA) president and long-time board member. Susan has been an active participant in and speaker at ALA’s Advocacy Institute since its inception and helps to coordinate United for Libraries’ popular Nuts & Bolts program for Friends, Trustees, and Foundations which is held at both ALA Midwinter Meeting and ALA Annual Conference each year. From farm equipment and heirloom seeds to electronic resources and WiFi hotspots, public libraries are being called upon to offer more and more resources to their patrons that fall outside the "normal" items like books and audiobooks. This program will detail some of those alternative resources and how to reach previously un-reached patrons. The Halls Branch of the Knox County Public Library has successfully implemented a monthly program series geared specifically for Homeschool families. This presentation will discuss how and why we created the program, the steps we took to implement it and the partnerships we have developed to make this series successful with very little staff time and effort. If you have a growing homeschool population in your area, you might benefit from this presentation. Join the discussion of the reading behavior & format choices of public library patrons. The results of a survey conducted by the Book Industry Study Group (BISG) in partnership with the American Library Association (ALA) will be presented. There will be time for audience particularization and discussion. This presentation shares research analyzing a random sample of nearly 2,000 university press releases citing peer-reviewed research by its faculty. The analysis reveals the prevalence of linking to research articles and the access status of those articles. Access has implications for universities wishing to publicize their research beyond campus boundaries, and for potential library-public relations collaborations to archive open access versions of featured peer-reviewed research articles. Student advisory groups in academic libraries are common, but operate with varying degrees of success. The Charles C. Sherrod Library at East Tennessee State University has had a very engaged and active Student Advisory Council since 2012. The presentation will discuss managing a student advisory council, including recruiting students; setting goals for the council and expectations for its members; getting student and administrative support; meeting schedule, times, locations, and agendas; communication; and other topics related to advisory board success. The presenter will draw upon her experience with student advisory boards at three different academic institutions. Solve the labyrinth of Wikipedia and learn to integrate it into programs at your school or library. Find out how the Putnam County Library partnered with their local PBS station, WCTE Upper Cumberland PBS, to create a mini ipad lab for the kids section of the library loaded with free math and literacy apps from PBSkids. The TN PBS stations across the state have access to these free materials and resources for family engagement, early learners, transmedia, and PBS on line and on air content for creating lifelong learners. In 2015, 98% of libraries in the Tennessee Regional Library System participated in an extensive survey of library services and resources. Based on the Tennessee Standards for Non-Metropolitan Public Libraries, this surevey examined staffing, budgeting, technology, community outreach and other aspects of library success. This program will reveal the findings of the survey, identifying strengths and weaknesses, and explore the potential for change in our public libraries. Our library employees were recently offered a retirement incentive that led to 4 seasoned employees leaving within 6 mos. of each other. We also have several part-time employees that often move on to further education, full time jobs, or staying home with families. This presentation will go over some of the experiences we have had at our library, and with some of my personal experiences, so that hopefully new librarians will know what a public library is looking for in employees so that they can be better prepared for the job market. It may also give some tips to others who are hiring at their own libraries. Any space can be a makerspace. Chances are, your library is already involved in making, which is why making in libraries is such a natural fit. From technology to textiles and everything in between, making has taken the library world by storm. As cool 3D printers are, the Maker movement is about so much more that. This session will explore how some libraries have integrated making into their programming, space, and mission to better serve their patrons, build community, share and create knowledge, and make awesome stuff. While ALA’s Money Smart Week is right around the corner (23-30 April 2016), libraries are the perfect places for all ages to learn about making informed financial decisions all year long! Librarians from across Tennessee will share ideas for programs that teach the essential life skills of personal finance. In 2013 the Library of Congress and other large academic libraries finally implemented the new descriptive cataloging standard RDA (Resource Description and Access.) I have attended some great programs by people at those institutions about RDA. But I often leave feeling more intimidated than inspired. What about those of us in smaller academic and public libraries? We don’t all have the financial or personnel resources to do ILS customization or extensive training. Since I am the only professional cataloger at my library, RDA implementation was up to me alone and it’s still a work in progress. I will discuss how I prepared myself, my staff, and my public service colleagues at Elon University’s Belk Library for RDA. I will talk about not only the successes, but also the ongoing challenges we face. I hope that this session will be a forum for colleagues to ask questions and share ideas that we all can use to update our cataloging practices and benefit our customers. Google Analytics is a great tool to provide insight about how users interact with your site, but sometimes you require more data to see exactly what is happening. That's where Google Tag Manager comes in. This presentation will help you get up to speed on utilizing this powerful tool.